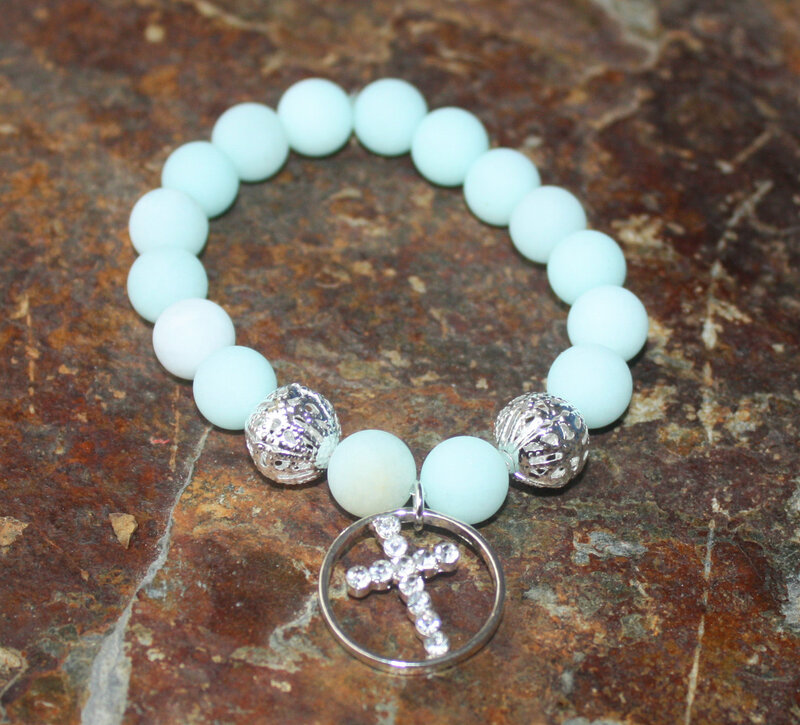 This beautiful bracelet is made out of baby blue frosted jade beads with 2 silver filigree beads for accent and finished with a beautiful silver crystal cross charm. 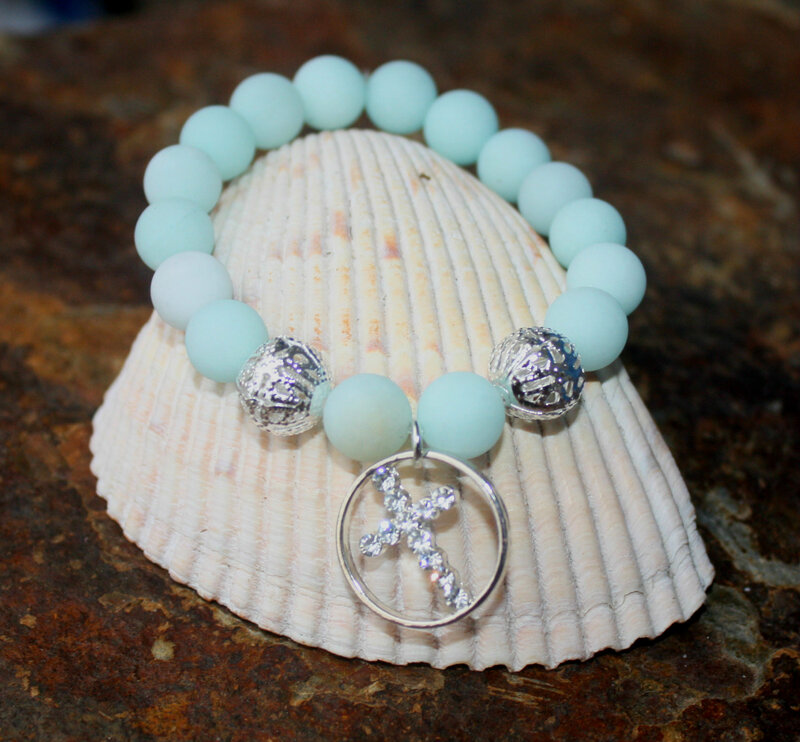 Very unique and simple, yet makes a statement. 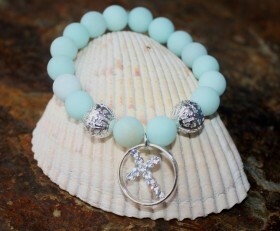 Categories: Beaded Bracelets, New, Yoga / Zen Life Bracelets, Yoga / Zen Life Jewelry.